"Is more complicated that waht i thougth"
We love the myriad of reports provided by Accelo that help us make more informed business decisions. It definitely helps bridge the Sales and Consultant gap, which is a common problem businesses face when their consultancy business grows to a size larger than 15 people. Data drives success, and Accelo definitely excels at that. Consultants also particularly like the ease of time logging, and ease of knowing what they need to work on, with the robust scheduling feature built into Accelo. Support from Accelo is also great, and as customers, we feel our voice and opinions are heard, and worked on diligently by the team Accelo. This is definitely a company that cares about their customers' success. Our company was previously using Jira's Tempo Timesheets addon to manage consultant time logging. This was good until our consultancy business grew to the size it is now. Tempo was not able to cope with our scheduling, forecasting and utilisation report demands. This resulted in us not being able to project consultant availability accurately, and hindered Sales from closing opportunities that should have been closed, due to the inability to see who is capable, and available for a particular engagement. "Full end to end workflow management"
The fact that one product platform tracks our sales through to projects, manages our service desk ticketing. Tracking and managing our support contracts and integration with our accounting package is the icing on the cake. Main dislike is profitability reports only include labour effort and not profit margin on hardware (material) sales on a per user basis. That and the issue you cant bulk approve expenses. Complete the free trial and onboarding, Once you start using Accelo it becomes hard to go back. Accelo solved numerous business problems for us. Prior to Accelo we relied on seperate products for everything with no real integration between them. A lot of processes were manual as opposed to now our whole end to end workflow is automated. Time spent invoicing has dropped from around 20 hours to 1 - 2 hours. Engineers have greater visibility and hence ownership of the projects they are allocated to. We are into our second year of using Accelo and looking back don't know how we managed without it! "Accelo is the centre of our agency world"
Flexible, customisable and robust platform for complete agency project and studio management. All the features are applicable and it's been designed for multiple projects, freelancers, teams, support tickets, everything in mind! It's so easy to use and there are bucket loads of resources online to help work out how to do small tasks. There's ongoing development based on user feedback, so the update features are really useful and come with video tutorials to share with the team. It's our day by day, hour by hour resource and scheduling tool for the busy agency. We've tried plenty of other options, which all fell short of key features. Accelo seems to have every request I come up with. I've struggled with setting up templates that are weekly, monthly, bi-monthly or quarterly tasks, which can then convert financially and accurately. Admittedly, I'd say this is more me than the platform, as I haven't truly explored the update releases to see if my barriers have been overcome. Use all the functions to get the most out of your subscription. There are plenty of tools available, but Accelo is comprehensive, and unless you utilise that, you'll keep thinking that there's always a better option. Remember you get what you pay for. Accelo has replaced a good old white board for daily scrum, and with the scheduling feature in full swing, we can not only commit time for a team member, but schedule all hours so we know what's happening and when. It's very flexible and easy to use, so I've saved plenty of time not having to run training sessions for the team. As my whole team is part time with different work hours, everyone can stay on top of the project workflow without hand over meetings. We're also trying to heavily reduce our email sending and using Accelo to replace a lot of this information. As an IT company, we utilize Accelo for all our quoting, ticketing, project management and lead captures. The ease of flow turning a lead into a quote then to a project is super simple and makes our business more efficient and quicker to market when quoting and competing of bids. The integration with Office365 is seamless and being able to pick up emails and schedule work into calendars/tasks is very simple. I am really enjoying using the platform and cannot highly recommend it to anybody looking for a platform of this nature. If you are in the market for a new Service Management or ERP/CRM platform then make sure you add Accelo to your list as a product to review. "Excellent Project Management system that keeps investing and improving its platform"
Since we started using Accelo in December 2015 the product has continued to evolve and improve. Money is invested in the platform and requests for upgrades and changes are considered and often implemented. This is unique in my experience. The tool is a powerful tool enabling my business to make data driven decisions in a timely manner. 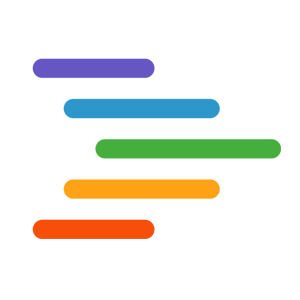 Accelo is a great product if you want transparency on how your staff are tracking against budgets, tasks and timeframes for clients and also internal projects. Monitoring budgets , project management, time management of consultants through timesheets. Consultants are having to own there own budgets as they are updated live and can be seen by all levels of management. Transparency is key. As a small professional services firm, it is critical for us to be able to keep track of billable hours and produce invoices and reports as efficiently as possible. We've used Accelo for over three years now and we haven't looked back. 2) Relocate entries to other projects/milestones in bulk vs. one by one. Please give it a look and then realize that it will keep getting better. I have consistently been impressed with Accelo's commitment to improving and refining thei rproduct. Keeping track of billable hours. The main benefit is that provided that our staff stay current on entering time, we are able to track performance in real time. The overall management of the studio, from Projects to invoicing and ticket management. This is a very robust application that causes you to really plan your implementation. Once you are up and running it is super simple to adjust triggers/Metatags etc. The staff are great supports of the timer functionality which says a lot . Well not dislike, but I do see an opportunity to improve the workflow functionality. It would be amazing if there were a drag and drop workflow builder like Nintex built into the application. The mobile app is good however the ability to create tickets remotely could be improved. In a project management environment it is challenging to find a tool that bridges the gap in CRM/PM/Finance, with the Xero integration it has meant we are joining the dots. "Accelo Blends CRM, Project Mgmt and Retainers into One"
Accelo does a good job helping our marketing agency setup and manage retainers for clients and manage the budget of time they have available. In addition, Accelo allows us to manage website design and development projects down to the minute and helps us ensure projects are on-time and on-budget. If needed, we can produce an audit trail of work performed for a client in a moment's notice. Our website management team also uses Accelo to manage the hundreds of tickets that are received from clients needing changes to their websites. Although Accelo includes a CRM component, this is perhaps the weakest part of their platform at this time. Our website management team also uses Accelo to manage the hundreds of tickets that are received from clients needing changes to their websites. Accelo is a strong tool which has extensive customizations to support the typical agency value stream - from lead to sale to contract to project to loyalty. The triggers and progressions make it fairly easy to automate your work where you can and support your team through the software. The support is always quick to respond and helpful. Big tool to set up and maintain. Perfect functionality if you have a consistent workflow, but difficult to adopt for some project variability (although theres a lot of great features for dynamic projects and changes in projects). Spend the extra time to set it up the right way and it will do exactly what your company needs. Set yourself lots of fail-safe automations to catch when things are not going as you intended. We were looking for a tool to help us understand where our employees time goes - both on an internal as well as client level. With our data now transparent, we're able to understand and benchmark our profitability rates, our team utilization & capacity, our sales funnel, as well as what are the big operational costs of running our agency that require improvements. "Gave me visibilty for the first time"
It's a central source for all our operations activities and then some. For the first time we can see what's going on between support, projects, retainers and sales. The activity tracking is something that now I could not live without my staff doing. Do a trial, take a look at the Daily Timesheet where you can log all the little bits of work that actually build up a full picture of you and your staffs day. Employee, contract and project profitability. A 15% increase in margins by being able to easily identify bad contracts, and poor project work. My favorite feature is without a doubt the real-time profitability dashboard for projects and retainers. With Accelo we were able to get a birds-eye view of projects and retainers and see how well you're performing as people report time or expenses. Also, our team achieved a mark of 100% of the time being tracked thanks to the many options Accelo provides users to report. Two things: project scheduling and implementation. The project scheduling interface lacks the agility and flexibility you'd expect from any current project management. Implementation can take some time and requires training, don't expect to have a solution your team will start using out of the box. Even though this is a low point, it's far from being a deal breaker, you can build a rollout plan and activate modules as you're setting things up and training. Make sure you have a process, Accelo can definitely help you automate as much as possible and give you the insights you need. We've filled a gap between sales, production, and management, making information available throughout the client lifecycle for all areas. In addition to that, we were able to see in real-time how profitable our projects and retainers were that helped us make strategic decisions with the clients. ""Accelo is the focal point of our organization world""
Adaptable, customisable and vigorous stage for complete organization venture and studio the executives. Every one of the highlights are appropriate and it's been intended for various tasks, consultants, groups, bolster tickets, everything at the top of the priority list! It's so natural to utilize and there are pail heaps of assets online to help work out how to do little errands. There's progressing advancement dependent on client input, so the update highlights are extremely helpful and accompanied video instructional exercises to impart to the group. It's our step by step, step by step asset and booking device for the bustling organization. We've attempted a lot of different alternatives, which all missed the mark concerning key highlights. Accelo appears to have each solicitation I thought of. I've battled with setting up formats that are week by week, month to month, every other month or quarterly errands, which would then be able to change over monetarily and precisely. As a matter of fact, I'd state this is more me than the stage, as I haven't genuinely investigated the update discharges to check whether my obstructions have been survived. Utilize every one of the capacities to take advantage of your membership. There are a lot of devices accessible, however Accelo is complete, and except if you use that, you'll continue believing that there's dependably a superior choice. Keep in mind you get what you pay for. Accelo has supplanted a decent old white load up for day by day scrum, and with the booking highlight going all out, we can submit time for a colleague, however plan all hours so we recognize what's going on and when. It's entirely adaptable and simple to utilize, so I've spared a lot of time not running instructional meetings for the group. As my entire group is low maintenance with various work hours, everybody can remain over the venture work process without hand over gatherings. We're likewise endeavoring to vigorously diminish our email sending and utilizing Accelo to supplant a ton of this data. We adore the heap of reports given by Accelo that assistance us settle on progressively educated business choices. It certainly helps connect the Sales and Consultant hole, which is a typical issue organizations face when their consultancy business develops to a size bigger than 15 individuals. Information drives achievement, and Accelo certainly exceeds expectations at that. Specialists likewise especially like the simplicity of time logging, and simplicity of realizing what they have to chip away at, with the hearty booking highlight incorporated with Accelo. Backing from Accelo is likewise extraordinary, and as clients, we feel our voice and sentiments are heard, and took a shot at perseveringly by the group Accelo. This is certainly an organization that thinks about their clients' prosperity. Utilize every one of the capacities to capitalize on your membership. There are a lot of apparatuses accessible, yet Accelo is far reaching, and except if you use that, you'll continue suspecting that there's dependably a superior alternative. Keep in mind you get what you pay for. Accelo tackled various business issues for us. Preceding Accelo we depended on seperate items for everything with no genuine incorporation between them. A great deal of procedures were manual rather than now our entire start to finish work process is computerized. Time spent invoicing has dropped from around 20 hours to 1 - 2 hours. Specialists have more noteworthy perceivability and thus responsibility for activities they are dispensed to. We are into our second year of utilizing Accelo and thinking back don't have the foggiest idea how we oversaw without it! I loved the potential. Accelo claims it can do just about anything and I loved that. I loved the idea that it was everything that I would need out of a CRM. I loved that everything was in one place, and even though it was complicated, my company could grow within it. I liked the way that it setup projects, the way it set our timelines and could assign jobs to my team. Far too complicated. My CFO told me that this software was too complicated, "overly complicated" but, I was in love with everything it was capable of. So, we signed up just one user and decided that we were going to figure it out, and then add the rest of the team. I have always been able to figure out my CRM software without training. I had no chance with Accelo. I watched every, single video, I asked a thousand questions. My CFO watched every, single how-to video. My team spent hours and hours and hours trying to get it all running correctly. Every time we made progress and were ready to spread into another area of the software, we started the whole nightmare over again. After six months we were barely using the project management, client portal, and the billing. The training was exhausting and took MORE time than just using a series of notebooks. A CRM should clean up time, eliminate complications, streamline everything. Accelo only complicated things. My clients couldn't understand the portal so I spent hours teaching them. I finally called it three days ago. I have been using our new software for two days. It is a Godsend. Only consider Accelo if your teams has more then 60 hours for training and setup and you are willing to pay for them to personally walk through each and every aspect with your team. This is NOT a DIY software. We were attempting to create complete and organized systems and management for our business. We needed project management, a client portal, client contracts, everything organized, everything running like clockwork. Unfortunately, after six months, we had none of that. The setup was beyond complicated. The "how-to" videos followed no organized system or plan. We dumped hours and hours and hours into this software and were still not able to utilize the aspects that we needed. Accelo is really exciting, all-in-one platform. There are plenty of "tools" out there, but they always seem to fall short. Accelo is a true system and it has already helped our team immensely. I would absolutely suggest that you check it out. Honestly, the only frustration I have with the platform is the fact that my team and I haven't allocated enough time internally (yet) to complete the implementation. With that said, we will slowly but surely work to wake up this real beast of a system over the next few weeks! The first thing that comes to mind is the Client Portal. As part of our management services, we actively serve 100+ properties and systems. The Accelo Client Portal allows us to receive, prioritize, and track customer tickets and requests all in one place. This feature is mission-critical for us to continue to scale our operation. I like the automation after setup of how emails import automatically. The CRM tool is extremely powerful and integrates with a lot of other software titles I use like QB online and when I used QB Desktop version. The amount of setup but it is not the fault of the system but just requires one to actually spend a ton of time to configure everything but one will face this no matter which CRM/PSA tool one chooses. This is an excellent platform that will help simplify the inner communication workings of your organization. The business problems I needed to be resolved was the inability to effectively communicate. I was always in a he/she said world until I was able now get a 360 degree overview of what my crew and I have said so we can now see what's been communicated and give a faster and more concise response to end users/clients. We have used Accelo for a small and rapidly growing accounting firm. Here is a summary of our key takeaways. Customizable. We found Accelo to be capable of accommodating the support of all of our processes. From our routing bookkeeping, to our tax season massive upswing, to the agileness needed to respond to ad hoc requests to give our customers the expert support they need- we found all of our needs met in Accelo. We have a mantra that we use often when it comes to our systems- they should work for us, not us working for them. After investing the time and effort to customize Accelo, we now feel that we have a product that works for us. Room to Grow. As mentioned previously, we are currently a small accounting firm with plans for rapid growth given our rapid and ongoing increase in our customer base. Our biggest challenges, honestly, have probably been due to the time and effort to customize and learn the tool relative to our current size. However, we know now that we are using our customized Accelo that the effort that we have put into the customizing and learning curve have given us the security and capacity we need to safely sustain our current and future growth for a long time to come. Lightweight. Given my experience in other businesses with other systems- some 'off the shelf' and some 'built from scratch'- I was won over with Accelo. With other off the shelf programs, we were forced to work for the system instead of it working for us. We were forced into its processes, its systems, its way of doing things, changing how we work to meet the demands of the system. Our only solution was to begin building our own systems, at a great cost investment. Accelo is the best of both worlds- it is lightweight but highly customizable, making it a perfect solution for small, midsize or large organizations. We had a bit of a misunderstanding on our end- we confused the sessions we purchased meant for configurations for team training sessions. The Accelo team was great about helping us adapt to our misunderstanding by making them productive configuration/training sessions. They took the time to understand us and our processes, so they gave targeted advice about how to use the fullness of Accelo features to support us. It was a great experience. Regarding training all users in our organization, that fell more to us. It is understandable since Accelo is a customized system that training does not fully rest on the shoulders of the Accelo team. However, hopefully they will find ways to support teams who are not adept at adult learning/change management/user training. Call Accelo. Tell them what you need. Let them combine their knowledge of the system with your needs, and give you a path to use Accelo in a way that works for you. We moved to Accelo because we needed support for more secure and streamlined business processes as well as support to handle our massive growth and seasonal business increase. Already, we have eliminated hundreds of hours from our processes, and have eliminated from our plans one new hire in the upcoming quarter! Invoicing our clients has already shortened from 12 hours to 3 in our first month alone, and we anticipate this will reduce to 1 hour once we gain more experience. We've also shaved dozens of hours from our manual processes, even though we are converting from a decent CRM to Accelo. Accelo's customization features allow us to use it in a way that supports our needs, eliminating lots of manual work. Again, we are only one month into Accelo. We are still gaining in skill as a team, finding new ways to customize, and documenting our successes. We will try to update this review once we have had a chance to document all of our Accelo wins. Right now, avoiding a new hire in a small growing team is a huge win for us alone. Accelo es una plataforma de CRM muy funcional y ayuda bastante en el área de ventas y sobre todo si se quiere hacer algun proceso desde la prospección, el área de preventas, el área de ventas, y hasta el área de implementación, puedes agregar a también a integradores y proveedores, no solo los clientes, ayuda a ver si realmente los vendedores están trabajando, cada actividad se le mide el tiempo, hay estadísticas para esto, además de las estadísticas de ventas. Lo unico que no me gusta de accelo es que tienes que tener la versión premium para que te puedan estar llegando notificaciones de las tareas que estes programando. "Great tool to streamline and manage all your projects"
Accelo's dashboard allows me to see what I have due for the day, as well as what I have coming up. It shows me if I have any overdue projects, and allows me to add notes to each task along the way. I like the dashboard, but I would like to see when a project or task is supposed to start and show how many days I have to work on it. As of right now I only use the deadline dashboard. Few issues but great tool overall. I have several clients with several projects going on at once. Accelo has helped me stay organized and on top of all those projects. "All-in-one system for Accounting/Consulting Firms"
Liked how integrated Accelo is with Gmail, including how it suggests calendar appointments when filling out time tracking, you can send emails and meeting requests within Accelo and Accelo records the time in drafting the email, and that staff member emails sent to a contact that's in Accelo get recorded in Accelo..
As with any system that is feature rich, it is a bit complicated at first. You just have to carve out time to do new features each week. Try it out and test out your biggest pain points. We also considered WorkETC and Krow. Accelo just seemed to have a smoother interface and we liked how well it integrated to Google mail. If we used Sales Force we might have considered Krow more. The biggest benefits are time savings from being in one system instead of multiple and getting reports on staff utilization and client profit margins. Thanks for reviewing us Tim! "Good for Agencies, Best When You Follow Directions"
As a manager of projects and teams, I like the granularity Accelo affords me. I can create a big bucket of work and leave it as a milestone, or I can specify the nitty gritty of a project implementation. I also like how I can create a task and give it a budget using a variety of methods--time or dollars. I've used other task/PM tools, but this one is geared well to agencies. It's complex, but that's good because I serve many clients and I need a tool that can keep it all straight. The steep learning curve is worth it. One thing to note is that you may find that you will have to modify your business processes, such as invoicing, to accommodate the software's limitations. You'd think it would be the other way around, but no. You'll have to cram how you bill into the Accelo tool's capabilities. This isn't a bad thing necessarily, because if you use the tool according to the directions/recommended best practices, you may benefit from process improvements. If this tool doesn't fit the way you do your billing and service delivery, then maybe you could get on board with the Accelo way and discover cost savings and efficiency. If your business uses odd billing structures like ours does, some kludging will be required. For example, we make a quote and then bill time up to that maximum. Clients are only billed for time incurred. Therefore, Accelo's "recurring" projects don't really fit us, because we don't really have a straight retainer model. At some agencies, it's a $X,000 per month bill every month. Accelo is great for that. My other minor gripe is the project plan editing tool. This is clunky and cumbersome compared to other Gantt tools I've used that feature a better UX. We've struggled to fully leverage all the things the tool can do, and we are still getting better with compliance and training. Our training sessions were poorly structured and ineffective, so we've had to largely figure out how to operate the tool on our own. However, tech support has been very responsive. Map out how your agency delivers services and gets paid for them BEFORE you buy any PM software for your agency. What reports does leadership want? What numbers will they care about on a weekly basis? Be prepared to pay: Any good tool charges a premium for the features you really need. Look at how Accelo does invoicing. It could be make or break for you. We are able to have better accountability for each contributor. I can see who is accruing time against work down to the minute, and I love that. Our agency is also improving profitability by preventing over-servicing of accounts. I work within a marketing department as a graphic designer and am solely reliant on my workload being briefed in by account executives. Accelo allows all of my work to be fed into me online with everything i need in one place. Task description, brief, deadline, time frame, attachments, previous correspondence, stakeholder and links to overall project details. The team schedule also works well as i manage one member of staff so it allows me to keep up to date with their workflow, timescales and progression on particular projects all in one view. The timers are a real bonus as historically we have had to bill internal clients for our marketing time, this was a great tool to help you stay focused on one task! Although loading times have decreased some of the screens still take a while to load or update. Predominantly the pending tasks screen. When you have more than 4 pages of pending tasks this screen auto refreshes which slows down the whole process. When search for a client to log a task under - this is really slow at loading. Creating projects is still a bit clunky. Especially when a project could hundreds of tasks assigned to them. I think this could be streamlined. The beauty of Accelo is that it is so versatile it suits any industry. With some simple training, it's intuitive, reliable and accessible from anywhere in the world. I would highly recommend it to any business from small to large corporations if your in need of a Project management system. Better management of projects. Accelo is the only single place where all of the team (10 strong) are able to keep up to date on projects and progression of them. The timer function has enabled me to better quote on timeframes for future projects. This has essentially decreased the backlog of work due to better planning. "The heart of the business "
The ability to create a sale and send a quote is great but Accelo goes much further, it allows you to convert quotes to projects from a click, you then have the ability to drop templates into that project for rapid implementations of projects. Its excellent how you can create triggers and make workflows that suite your business and how you want the business to work. I don't like the fact that you have no reports, not options for report on tickets or send customers reports of the usage from contracts they have open or the ability to get alerts when contracts use up the time limit allocated to the contract. Great application, has everything you need and always developing new features which is great. This is not a one off product thats just been left, each quarter something new is released. Centralization of communication without having to share your mailbox with everyone, its also given us a central location for all our notes in sales, projects and tickets which means anyone can pickup the current progress of anything in the CRM. This is a fully integrated consulting practice management system. In fact, it is so fully featured that we may be months from using it to its fullest (and we've been happy customers for over a year). The seamless integration of sales opportunity to billable project or retainer is by far the most impressive feature. It also helps to make integrated communications and time tracking a breeze when you connect with Office 365. It will suggest time spent on billable work based on emails, meetings, etc. that it curates behind the scenes. With the feature-richness comes a sense of being overwhelmed. Perhaps we could do a better job of turning off features for users as they're being onboarded so that they can focus on what's important, without being distracted by what is possible. Accelo implements new features very rapidly, but they also address issues/deficiencies with the same sense of urgency. They are also extremely transparent and engaged with their user community. Roadmaps are updated constantly and they solicit a lot of feedback from their users. Faster time to cash, less time administering projects. "Great solution for bringing all of our prospect and project management together"
Having all of our leads and project management in one place allows us to follow through relationships with prospective and current clients, right from the initial contact to project delivery and follow up. The learning curve is quite high and on boarding new employees takes some time. This just needs the procedures set up but it does take resources in a small company. If you have the time to put into setting Accelo up with all your processes it is well worth the effort and makes things run very smoothly. We are a small company without a dedicated business development of sales team. Accelo really helps with keeping on top of new leads and following them through to project setup and delivery. As the Principal in this it has allowed me to be much more in touch of when leads are being neglected or projects are stagnating. Thank you for the review Will! We appreciate your feedback. I like Accelo because it's a great and flexible tool for managing projects and the progress of those projects. This is of very big help for companies that wants to keep track of how things are going and to have an good overview of budgets regarding specific project. The only thing that I've experienced that could need some improvement is that the scenario where you want to paste or write an email address in "Add Activity" -> "Send an Email" the email address disappears. If you want a web based tool that is easy to access and will help the development and effectivity of your company and also be able to handle invoices. Then Accelo is the thing for you! I am working as a project manager for a web agency in the e-commerce business and using Accelo to handle the projects are great. Th greatest benefit is that I can assign specific tasks within projects to the person I want working on it. In addition to that I get a notification on my email whenever someone has made some kind of contribution to any project that I am involved in. This makes it easy to see the progress and perhaps follow up on that contribution with potential questions. "I live in this 8 hours a day... here's what I have to say"
I like the ability I have to manage my own tickets and while also being able to track my teams progress as well. The automation features really help cut down on time spent on writing responses and helps to deliver good service to our end users. The ability to search past tickets seemingly from the beginning of our service with is insanely helpful when trying to remember back what I did to resolve a specific issue. The stream is also a great tool to see what the team is up to. I dislike that it's web only. I feel that having a local app that looks to the online data would open up a world of possibilites. I struggle with the fact that when I open a note or start sending an email I cannot reference ANYTHING on the ticket or site. The note or email consumes the screen. Being able to minimize that window or better yet have all the information on one screen so you can reference past notes on the ticket or review past responses and details in previous emails. Currently it's painful to do and it is hands down my least favorite aspect of the service. Make sure that you take time to look at how this system notifies you and what it notifies you of. If you're not careful you can be literally bombarded with information in your email account. We use Accelo solely for a service ticket platform. It is where our service team works everyday. We track our time here we use it as a crm as well. Once I became accustomed to how the search functionality works this was been the single best tool we have at our disposal. Being able to quickly reference old notes and tickets is critical to resolving issues and looking professional. The timers are immensely useful. It helps keep you honest and makes you realize how much time you spend on specific issues. These timers help us determine how long it should take to perform a certain task - Thereby helping us scale up as a business. Thank you so much for taking the time to review us Bradley. Your feedback really helps us understand where we're doing well and where we can improve, so again, thank you very much for your insights. "Most feature packed project management tool we could find"
With Accelo everything is all in the one place: CRM, Email Communication, Project Management, Support Ticketing, Invoicing, Retainers, etc. and it also integrates with our other tools (Xero, MailChimp) and when there isn't an integration there is the API which covers 90% of the product. It's the only product we found that did everything well. Interface is clean and easy to use (although has a bit of a learning curve - mostly due to the HUGE amount of features and multiple ways to get things done). Support is responsive and when something doesn't work they are quick to rectify. The automatic scheduling is a little inflexible and favours distributing work across multiple work days rather than in one solid block. The API doesn't cover retainers. We have almost 800 subscriptions from a previous product that we can't import. The product is pretty expensive when compared to competitors - even for all the functions it provides. Reports are limited to what is provided and filtering of tables. Would be great to be able to build more complicated reports across different record types. Xero integration is great but doesn't track custom columns in invoices. Make sure to make use of the free trial and thoroughly test all features. The system is flexible enough that there are multiple ways to do things (which may be confusing at first) so make sure that the way Accelo works is the way your workflows are. Our whole business now runs on Accelo. From sales leads (CRM) through to project management and invoicing. We are now able to track projects through one system from lead to completion and measure profitability and manage staff time. Thanks for this review Craig! Our team really appreciates the feedback - we're always trying to do better. "One stop - covers all of your bases"
I really like the fact that you can have all of your management features under one roof. It's so helpful to be able to have all of the core 'mechanics' together. I also like there are multiple ways to get the information you are looking for and manage the in-coming and out-going information. I dislike the client area. It could be great to get them connected, but it's not quite at the caliber of the rest of the system. It would be awesome to be able to have clients log in to their area and see hours that have been used over-all, or approximate billing for the month/usage at a glance instead of only task by task. It would also be awesome to be able to assign a task to a client when they are meant to give you items for their tasks so that we can keep tabs on what is still required from them - and keep the flow in check. Take time to learn a module at a time if you choose to use more than one or go with the all inclusive. There are a lot of things in the back and it can get overwhelming very quickly. We have been using the system for almost a year and still have not learned all of it yet. Going through one at a time if you are able is a great way to learn all the features and make sure that you are set up right the first time instead of trying to find things later. I have searched for years for a great project management system, client management, invoicing - all in one place. When I stumbled upon Accelo (then Affinity) I realized that they way my business was structured, what I needed was a great ticketing solution - that I could bill directly from. This was a godsend to me and suddenly all the unbilled hours for emails on tasks, and tracking each ticket/ task was a piece of cake and my revenue increased by 25% the first month. When we added on the retainer and project modules it really pulled everything together and allowed for a much better way to keep track of everything, including client hours and invoicing. We love that we're helping you cover your bases! Thank you so much for your honest feedback - we're always trying to improve the product and you taking the time to review us means a lot. The ability to customize templates, and most everything about each component of the client portal. The lack of a master-work calendar page. It would be nice to be able to view a "master calendar" to view all of the active companies and projects planned on a calendar and in one place. Aka time-line of active clients/projects in a calendar form or master project view and maybe with project complete milestones. Make sure to stay on top of employees and entering time. So you know how long projects actually take. Company organization issues within our company and in managing clients/time have been reduced, but the many pieces of accelo have been limiting pm productivity. Also keeping track of employee hours spent on each project has been reduced. Trying to get employees to keep and log time is a task and is still a problem since if they do not record their time when they work on projects/tasks the time is just not kept track of and is lost. Can there possibly be a clock in and clock out tab or feature that can be implemented with a simple sign-in in the morning and a sign out in the evening and plug and play withn task completion recorded under the users clock in? Thank you so much for your insights Alesha. It means a lot to the team! "Accelo has everything I need, in one place." Accelo combines what used to take 3-4 different apps to accomplish. With Accelo, I can create client listings, store important files and communicate with clients, as well as create and manage projects, assign tasks, and create tickets to better serve my clients. No more bouncing between Google, Confluence, Teamwork, and Harvest. All communication and time tracking is done through Accelo. Having all of these in one place saves me time and makes keeping my clients happy much easier than before. Because Accelo is a very robust and complex appplication, the learning curve is a bit steep. Figuring out how to create taske, manage projects, and communicate with clients can be a little daunting at first. Good thing Accelo has excellent tutorials, and excellent support people who can help guide you through the process of setting everything up and shortcuts to streamline the experience. Keep all of your client assets and manage your projects in one place. Communicate effectively, track time and increase client satisfaction. Better project management, better time tracking, more effective communication with clients, clear project timelines, and more effective task assignments. All of these have been a benefit to creating a clear communication from the client to the project management down to the staff working on the individual tasks. "Good At Lots, Not Great At Anything"
The platform has a number of serviceable solutions that integrate well with each other, and with Google Apps / Gmail. The onboarding options are helpful and support staff are very friendly. The Retainer tool does a decent job of managing recurring tasks and commitments once you figure out how to use it. Unorthodox vocabulary, modules operate differently from class leaders, so the learning curve is significant and that can impair adoption across a team. None of the modules can reasonably be called best-of-breed - but most are still useful. - The Ticket system is a far cry from Zendesk, but still good enough. - The quote feature doesn't stack up to Quote Roller, so we still use QR for sales proposals. Accelo used to support integration with Quote Roller, but no longer does. - We tried to get by with their Project Management tool, but everyone gave up. Now we use JIRA for major projects. - We have multiple businesses operating in different currencies, so we reply on Xero for accounting, and Freshbooks for invoicing. Trial and test - and take advantage of the support options to get educated. We switched to Accelo (then AffiniityLive) in 2014. We acquired another company that was using a different CRM and had to choose: Move their stuff to our CRM, our stuff to their CRM, or everything to a new CRM. Given the number of tools included Accelo won the day. We have benefited from significant cost savings. Thanks for the feedback Ryan. We're always trying to improve our product and really appreciate the time you took to point certain things out. 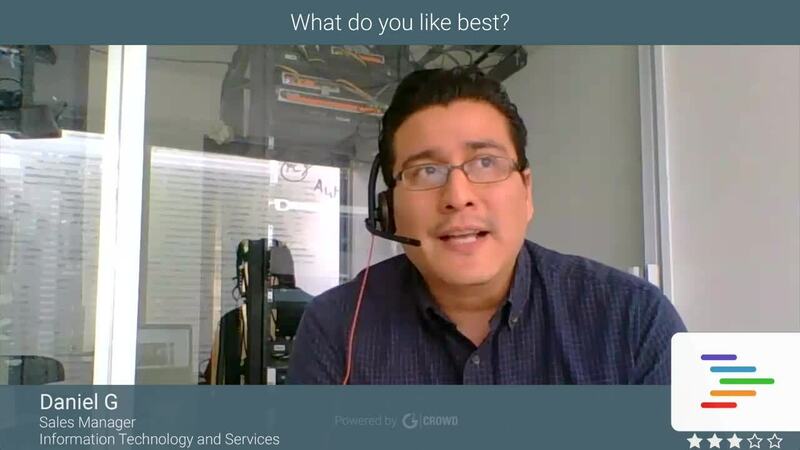 "Save Time, Increase Team Collaboration & Transparency & Streamline processes"
What I love best about Accelo is that I can easily stay on top of interactions with my customers. I check the customer stream prior to customer calls to get up to date quickly on the interactions, questions, and issues with my client. In addition, instead of having 4 different tools for CRM, project management, support and invoicing, we do it all in Accelo. With any SW program, there are bugs. However the support team does a great job to reply to questions and help fix the issues. The screens are not overly intuitive. This is something I know the Accelo team is working on and it is getting better with each release. I also find that the time it takes to load a page when you save something could be improved. Sometimes you sit there for 35+ seconds waiting for teh page to load. It takes time to setup and get used to, but once you have your team using it it is very powerful way to do ops in your company. The primary benefit we have realized is that we now have a one stop shop for our customer, project, retainer, support, issue and pipeline. PRior to using Accelo we had these functions in 4 different tools. IT was hard to integrate them and it was especially hard to get data to move between them. One big problem that Accelo solves is doing invoicing in USD. Thank you for solving this problem. We also now have a way to manage our work tasks and categorize the work done and to do. This is helping us plan for hiring by identifying the skills we need to hire to fulfill the services we have sold. This is so great to hear Martha, thank you so very much :-). "Full One Stop Shop for your business"
The integration with Google Apps emails, the automatic capturing of emails, the relation to the relevant client and the stream view which shows you a full timeline history with your client. Also, it is giving really useful tools to manage an agency. The task / tickets management lacks a lot more intuitive UI. The JIRA integration needs more improvements and better synchronization (planned to get improvements on Q4 2016 as per Accelo roadmap). A bit of slow performance because most of the UI actions are required a whole page refresh (planned to get improvements on Q4 2016 as per Accelo roadmap). If your business depends on an hourly based work this is the system for you. Do make sure to really try it and fit it to your needs and workflow. Track of time logs across all the company activity. Knowledge sharing across the team. We really appreciate your feedback Chen, thank you very much! "Beware - Accelo is Difficult At Best "
The tool is highly powerful and has a broad feature set. The learning curve is so steep that even highly tech-savvy teams may quickly be buried in training and frustrated by Accelo's attempt to demand a new way of doing many of your business processes. For the tool to work as fully intended you have to email and do all calendar entries from the tool - yet it lacks all of the common functionality like calendar sharing, scheduling a conference room or GoToMeeting integration which means you either loose features of Accelo or you work with sub--par technology. The gannt chart is pretty bad and the UI/UX is behind times. They admit this. They also admit that their client portal is lacking and poor. I would never have selected Accelo had I realized the complexity, learning curve and the way it causes you to completely shift so many processes. It's frustrating and disrupts your business significantly. Beware and really dig in and talk to other users in your specific industry. The sales team will tell exaggerate the benefits and features of the tool to close the sale. Plan for a 3-6 month implementation period with at least 200 hours of training and hands-on practice. Most of that time is the later and know that it will be frustrating. The structure and naming convention for the tool is not ordinary and you will be forced to think and do things differently than you might think is best for your business. Accelo expects you to make significant changes in your processes to accommodate the restrictions or shortcomings of their tool. Task management, time tracking on projects, dependancies across tasks. I appreciate your feedback on Accelo. I think it would be helpful to connect you with our support team to see if we can offer any additional help with how you run your business in Accelo. We're happy to see what we can do to ensure that you have a positive experience moving forward. "Not perfect, but certainly has its virtues." After evaluating Zoho, Trello and a few other systems, we decided on Accelo to manage projects, billing, clients, and quoting. It's had about 90% of the things we expect; the other 10% we've either had to find work-arounds or figure out a new way of doing things. There are some seemingly no-brainer tools that aren't available, like multiple checkboxes or certain billing tools. It has taken us a long time (about a month) to get comfortable enough to implement it to our entire team, so be prepared for a learning curve. Prior to this, we had 0 project management. This gives us insight into where we are overdue, what's on the radar, if we're overbooking ourselves, etc. It also helps prevent small tasks from slipping though the cracks and being forgotten. "Amazing CRM and Project Management Tool for small and midsize biz"
At the same time this online tool comes out of the box ready to run and play, it also allows you and your business to customize the workflows and projects skeletons to shape to your business... Zero Programing with Coding.. everything is very intuitive, visual and helps you manage and delegate the entire process since the moment the client/customer knocks the door to approving and billing. It's helping my business grow and helping create accountability across our teams and employees. Thanks for the review Christian! We really appreciate your feedback and we'll definitely look into ways of making the app and product even better. "Accelo is incredibly complicated - but has a few upsides"
That we are able to track our time with timers and that I am able to generate good looking sales estimates very easily. This saves me a lot of time. In terms of sales - the potential sales dashboard data is not very helpful. Would not really recommend as a CRM or sales pipeline tool. It is probably best for organizations that are either solely service or product oriented, not both. This creates a very confusing experience for our teams. Tracking time and productivity. We are able to pretty transparently see what individuals are working on. "Excellent tool for a Marketing Agency looking to get hold of productivity"
Before we used Accelo, time spent on work was gathered via a rather ugly Outlook task list workaround, which was neither practical nor scaleable. Accelo's project and retainer scheduling functionality allows us to book-in large projects much more easily than before, and also ensures that time is tracked more accurately, allowing senior management to find true profitability of projects and marketing services. Of course there are a few elements of Accelo that could be improved, but one of the benefits of working with Accelo is that they listen to their clients. I am constantly in touch with Geoff and the team to offer ideas and help with beta testing, which makes me feel like a valued customer. We are solving many problems with Accelo, from project scheduling and timesheeting through to sales forecasting and email tracking. Thanks for your feedback Dave! We truly appreciate it. The ability to customise worklfows and automate task creation, email templates, reminders, project planning etc, and the ability to track statuses and other data. As a product sales business I sometimes feel Accelo is more geared towards service businesses (e.g. billable hours) than product businesses. Increased efficiency, increased standardisation, more manageable sorting of data. "If you manage projects for a living - you can't manage without Accelo. " I love the backend thinking and planning that went into the congruency of Accelo. It is rare for one piece of software to be sufficient on many different interrelated fronts. They have somehow found a way to bridge the gaps between client communication and retention to staff effectiveness and productivity with the ability to bill your clients with integrity. The only complaint I have is the integration with Xero could be a bit more fluid. Do not be overwhelmed with the back end, reach out for help if needed because.. Once it is set up you will LOVE IT. Th problem I am solving is running my business on all fronts. The more I use Accelo the better my business presents, maintains and flows. It gives me the ability to truly be in control. Thank you for taking the time to review us Sergio! Our team really appreciates the feedback :-). What our agency likes the best is the time tracking functionality as well as the ability to be able to see how profitable (or unprofitable) we are on various types of projects. As an agency that provides a lot of different services, that's an extremely important feature for us. We don't have many dislikes of the platform, but our biggest complaint would just be not being able to create custom dashboards for different areas of the platform. It seems like for the most part, we're limited by the standard build of columns. Accelo has really helped us open our eyes to how much time it really takes for us to manage a website or build a marketing campaign as well as which types of projects are profitable vs. loss-leaders. Thanks for your feedback Taryn. We're always trying to improve our product and make every user's experience awesome, so we really appreciate you taking the time to share your thoughts. "Accelo is our business tool for managing customers from sales, project management to billing." Accelo is rapidly improving and the support and development staff are very responsive to issues and questions. In the 6 months we have used the product, we have had multiple requests incorporated into the product and all issues we have had have been resolved. Whilst the interface is very responsive, there are some aspects that are slightly more cumbersome than necessary, requiring navigating multiple screens. Spend the money and get Accelo to help with the onboarding and training. For us, the single tool to see all our quotes, sales, projects and tickets has greatly improved our visibility of our own companies problem areas. Accelo has also made managing our retainers/monthly contracts with customers a much simpler process. Thanks so much for your insights Byron, we really appreciate it :-). "It does a lot, but I only use a little"
I mostly use this for creating issues and tickets, it does that mostly well and the customer support is awesome with frequent updates. A lot of little settings like changing the date on an issue is simply non existent. There are a lot of feilds that may or may not be necessary that have to be filled before doing a lot of things. It's a good online software that I'm sure does a lot more than what I need that you may find useful. I guess I'm just using parts of it they would consider minor and those don't see a whole lot of improvement. As a tech, we need to have a way to tell our boss what we did and have it on record for the future. Issues and tickets written by us help with having it all in one place. Plan for good training, and expect the implementation to take a bit of time. More efficient project management, more efficient a costing projects/keeping track of costs, so essentially accelo is helping us be more profitable. "Easy Project Mgmt Tool for Teams"
There is so much that I appreciate about Accelo compared to other project management tools. The task board/dashboard allows me to see tasks that are overdue, due today, and due in the future. I also like that project timelines can be managed via gant charts which allow you to easily slide and extend when tasks should be completed. There's a lot of repetition when creating projects/tasks. I wish you could simply duplicate a task and all its properties (time allotted, budget, assignee, etc). I also wish there was a way to see when you should START a project. The dashboard only tells me when something is due, so if it's a larger project I have to be cognizant of it and not rely on Accelo to remind me. I work with several teams and this tool allows me to assign them to different tasks and set tasks dependent on one another so each individual knows when they can begin their assigned task. "The way we work is now forever changed1"
The best part of Accelo for our team is the Gadget. Once connected with Gmail, the transparency that Gadget has created allows us all to work more efficiently and effectively together with the shared information. Accelo is not incredibly intuitive, and it has taken us a lot of time to figure out small details. We feel that it was designed with a programming-literate user in mind, but most of us do not fall into that category so we have had to spend extra time working with the software to get it to do exactly what we want. We have greatly solved our communication issues and work delegation. With the ability to quickly assign or change the assignment of a task or issue, we are able to stay on track and get SO much more done. Where we once had to communicate everything verbally (and not well), we are now able to quickly send emails and notes as soon as the ideas are fresh in our heads. Everything is now in one place, and we can be so much more accountable for the work that we have to do. I really like one of your recent features which is adding expenses and converting into invoices. Also commission calculation feature is great. Also I like you guys adding more new features and good maintenance and quick response. I am excited to see Purchase Order feature very soon. There are a few odd things still need more attention. For example, when creating an invoice GST isn't default as Sales, so without knowing that an invoice doesn't get pushed to Xero. The most dislike is not able to know projects/tasks schedules in one picture, so sometime there are too many projects/tasks or too little. For example similar to Gantt Chart style will be good to have a big picture for adding more projects/tasks. Retainer should be improved, for example if current month's retainer not spent shifting balance of hours to next month is too manual way and taking too long. Better use as a premium user rather than a portion. At the moment we are having some issues with employees not logging their timesheet, ended up not able to invoice to the clients. It will be good to have some kind of indicator for employees to realise they must add their timesheet every hour/day. Also it will be great to have KPIs related to resources, for example if one employee's weekly work hours are 38 hours but logged hours are 29. So KPIs indicate that loss of hours that converting into a dollar values. Also It will be great to print easily from any pages. For example, not able to print material pages. * We monitor all Accelo reviews to prevent fraudulent reviews and keep review quality high. We do not post reviews by company employees or direct competitors. Validated reviews require the user to submit a screenshot of the product containing their user ID, in order to verify a user is an actual user of the product. Hi there! Are you looking to implement a solution like Accelo?